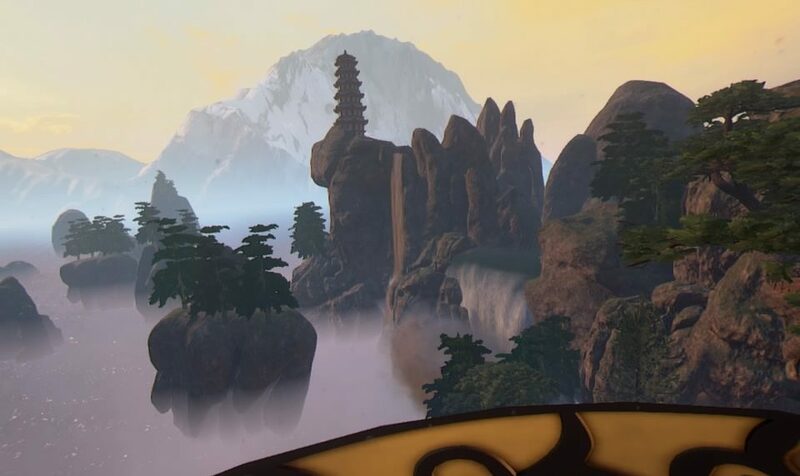 XING: The Land Beyond is best described a journey loaded with puzzles, exploration and a large sense of serenity. Previous games that feel like this would be Obduction or Myst, though the puzzles here are much less intense with a focus being on crossing the threshold between life and death. You have died and must now venture through a few different worlds uncovering the secrets and stories left behind by past spirits and perhaps bring them with you when you pass on to the next life. The day and night cycles are fun to mess around with. With a DS4 or 2 Move Controllers you can traverse the varying landscapes though either method really plays the same with the DS4 having the benefit of thumb sticks for an easier way to move around and I ended up sticking with the DS4 for the bulk of my playthrough. 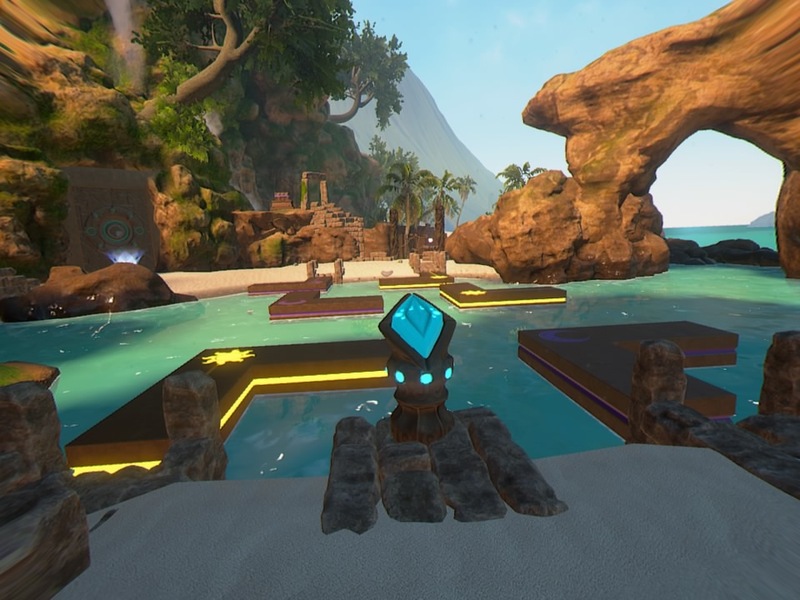 Moving through the afterlife, you will come across a few different types of switches and items scattered around that can be picked up, looked at and may be needed in a nearby puzzle. You may just need to place an object into an otherworldly receptacle or light something on fire to activate a nearby platform. All of those mechanics are fairly stock as far as 1st-person puzzlers go, but where XING breaks away from the pack is it’s use of changing the world around you, be it from day to night or changing up the weather. When you combine those unique puzzle solving elements with the classic ones, you get a puzzler unlike any other with enough challenge to constantly keep you wondering what the game is going to ask of you next. The emphasis in Xing is on a chill experience with the worlds looking good enough to just make you stop and take in the sights. Nothing in here is hyper-real or anything, but when you are walking across a sandy beach with water ebbing and flowing around you with coconut trees swaying in the breeze, you can’t help but get lost in the beauty of it all. It really looks phenomenal and the differences between the day and night sections and weather effects is striking, especially when you watch that transition happen in a matter of a few seconds. Each realm contains epitaphs with poems from a spirit that inhabited that realm and divulge a story centering around that spirits own journey. As you move throughout the game a mixture of real and surreal elements greet you and remind you that you in between worlds. The environments change up from heavily forested regions, sea sides, an arctic themed area and more with each feeling wholly different from the others. There is a depth to these worlds that I really appreciated and while some of the smaller details fail upon close scrutiny, XING as whole is an absolutely gorgeous game! Audio effects are top of the line as well with some great ambient music and wonderful effects that pepper the entire game. Every area feels alive thanks to the environmental effects and light music that accompanies the game fit wonderfully into the background. It fits so seamlessly with the gameplay that you honestly forget about it until you experience those moments when you suddenly notice it and appreciate just how much it adds to the ambience and the emotion of a past memory as you read the poems from the spirits who were here before you. 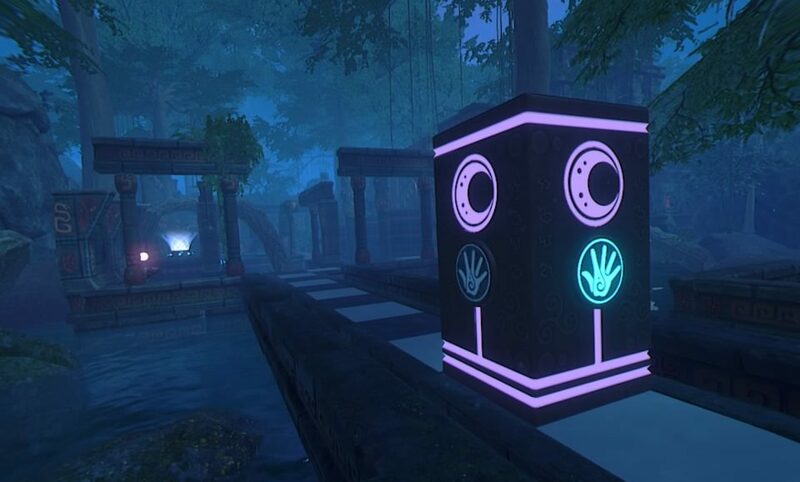 XING relishes it’s simple and straightforward puzzles…at the onset. 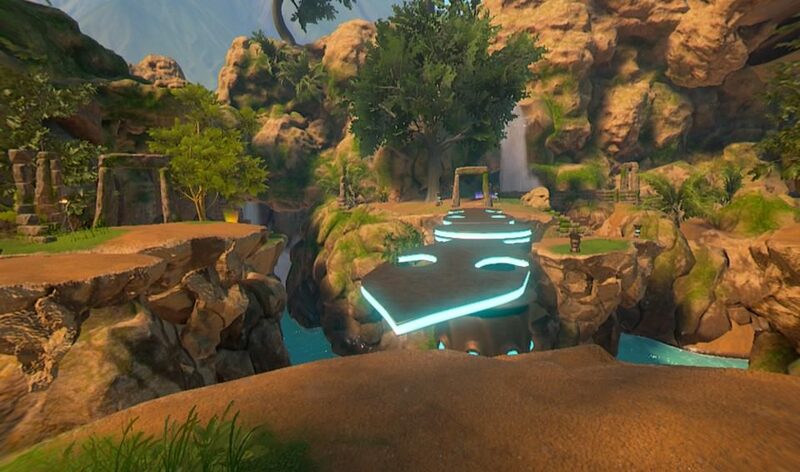 Initially you just use switches and items to bypass obstacles so maybe you need to burn off some vines holding a gate in place or move some platforms in the day and night cycles to make a bridge and some of these do offer a little challenge but it’s not until the end of the 1st stage when you need to mess with a giant clock does the games difficulty truly start to reveal itself. It never gets ’18 Floors’ levels of difficulty and the puzzles are contained and linear so when you stumble across the next one, you know that everything you need to solve it is in the area, so you never need to back track. That said though, a few puzzles had me stumped for quite awhile and were a tad frustrating, mostly due to the repetitous, trial and error nature of those specific puzzles. There are hidden symbols scattered around as well, some easily seen and retrieved with others needing you to explore a little more or maybe performs a little extra work during a puzzle to retrieve that piece. Getting all of those pieces unlocks another area with some more spirit stories so pay attention, though thankfully each level keeps tracks of your individual progress in that stage and you can revisit anytime to hunt down those missing pieces though you have to navigate that stages puzzles again so it’s best to nab them on your 1st try. Some of the views in here are stunning. The campaign is lengthy for a puzzler clocking in somewhere in the 6-hour range based largely upon your puzzle solving skills with a few smaller puzzle free stages just giving a little more story if you are so interested. I found the puzzles to be, overall, very clever utilizing some fun a unique mechanics. The presentation is top notch and each individual spirit story offers its own intrigue. 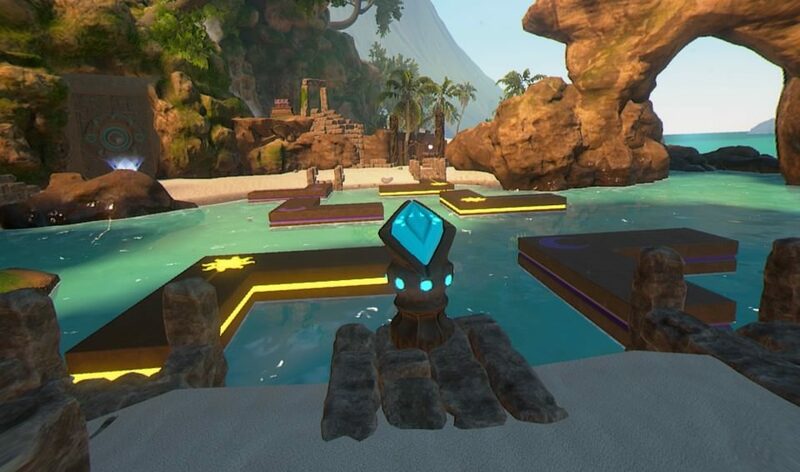 XING gives us a top-quality puzzler with loads of content that never really wears out its welcome. With that said, I found myself needing breaks on the puzzles that held me up but coming back with a fresh mind seems to have aided my efforts and all-in-all I enjoyed my time traversing the afterlife. What would I pay? The $20 asking price for this is a great bargain. The high-quality presentation, unique puzzle elements and engrossing worlds all blend together to make a puzzler that just about anyone will enjoy. 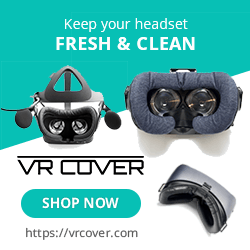 White Lotus Interactive provided The VR Grid with a press code for this title and, regardless of this review, we thank them for that!